It is with great honor and excitement that I join the faculty at Meadow Brook Elementary! I am very excited to get to know each of you! Just a little bit about me: I love to play sports (especially golf), travel, and be with my adorable family! At the beginning of this summer, I had the opportunity to work with administrators at a school in Guangzhou, China. My passion for education has been shaped over the past ten years as a teacher, facilitator, and graduate student. As a teacher and facilitator, I worked diligently to ensure that each child received the best education possible and as an administrator I look forward to continuing this pursuit by creating an environment in which each student thrives. Over the past few weeks, I have had the privilege of getting to know some of the amazing students, parents, staff, and PTA members at Meadow Brook. One of the greatest takeaways from these conversations has been the immense enthusiasm and pride for the school and community. 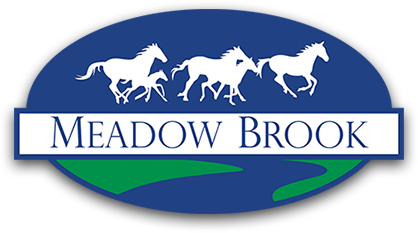 It is with that same enthusiasm and pride that I look forward to becoming an integral part of the community and working with each of you to continue the great successes at Meadow Brook; I believe that ongoing collaboration is key in providing an excellent education. I look forward to a great year ahead of us! Please do not hesitate to reach out to me if you have any questions, concerns, or ideas that you would like to discuss.